4k Textures and consistent 30fps! Okami is one of the most underrated gems of the PS2 era. The game was great, but on its initial release could not appeal to a wide audience. The game gained quite a cult popularity and created quite a stir when the remaster, Okami HD was announced. The original game was a release for PS2 and Wii, but you can now play the remaster on all latest platforms including PC, PS4, and Xbox One.However, to fully enjoy the 4k visuals you will need an Xbox One X, PS4 Pro or PC. The gameplay and visual style work great even for this modern generation of gaming systems. Okami HD is a great game; there is no doubt in that. If you were unable to play it earlier, this is a great chance to play this game. I won’t step in to review this game, as there are already tons of them available on the internet. However, I will say only one thing. 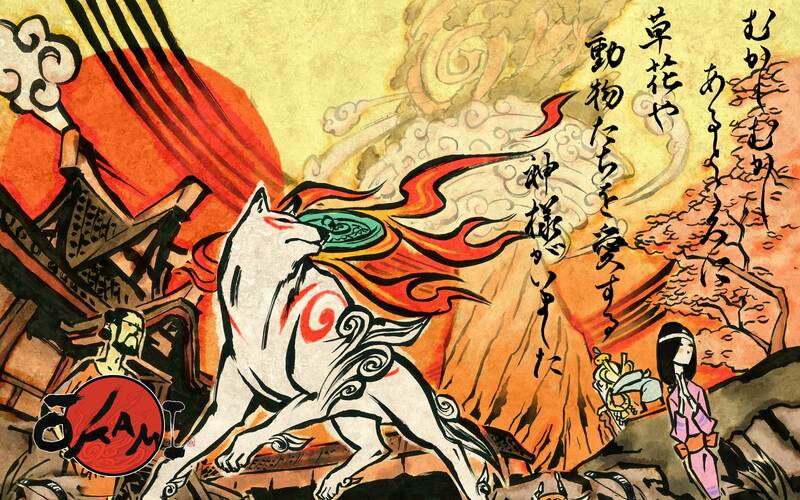 Okami is one of the greatest games of all time, and a must play if are avid fans of the RPG genre. Now only if we can only get a GOD HAND HD Remaster!! !